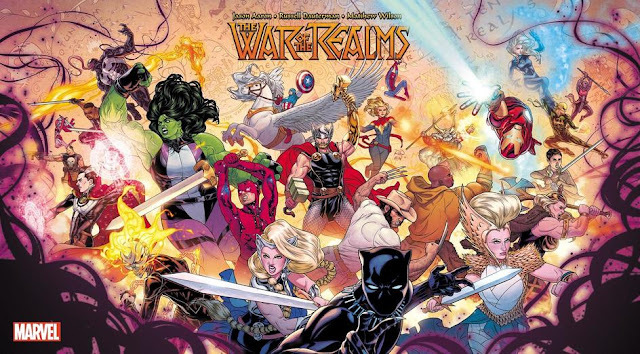 So maybe you have kids, and maybe you want to introduce them to comics, because you loved comics when you were his age and you want them to experience the magic. Unfortunately, the current market is too full of overly complicated, whether literally or visually, not to mention how annoyingly expensive it is to keep up with all the "event" stuff going on. 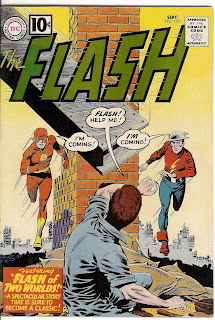 One easy way is to go back to old comics, because those are simple and were created for young boys in mind. For example, one of my nephew's favorite comics is the classic "Flash of Two Worlds," which has clear, solid storytelling filled with wonderful (literally, i.e., full of wonder) ideas, such as the multiverse and colorful villains like the Fiddler and the Shade. So that's great fun, for young boys! And even young girls! But what about if you want the girls to have a positive female role model, instead of continuing to look up to male characters? Well, that's where it gets tricky. Unfortunately, strong females in comics are unfortunately really hard to find,and if you have kids and you don't want to give them complicated stuff, it gets even worse. 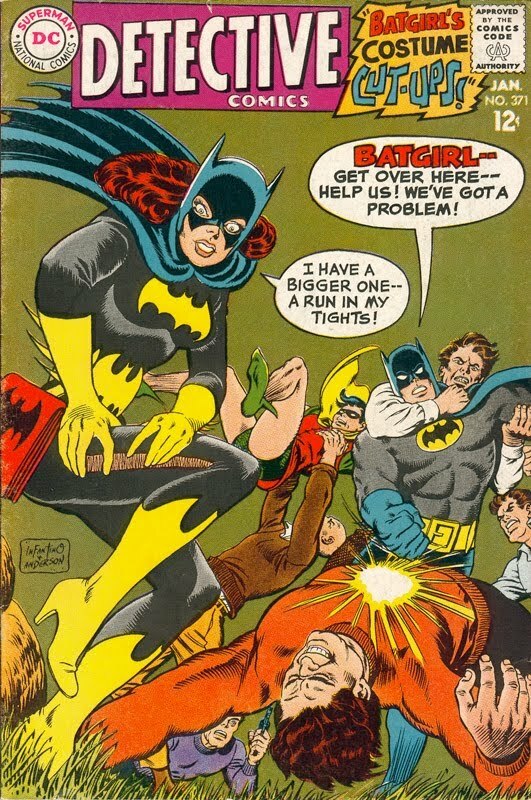 Not only are most superheroines just female versions of male superheroes, they also had the tendency to be portrayed as "stereotypically female," which in comics was treated as a major weakness. For example, we can take a look at Batgirl, in this cover to Detective Comics #371. "Oh no! A run in my tights! Surely this means I will endanger your lives, you non-understanding men!" Then there's this cover to Action Comics #360. 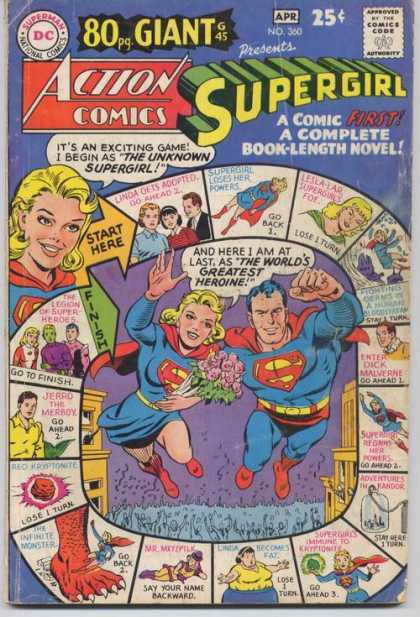 Even after Supergirl was revealed to the world (after months of her being "Superman's secret weapon"), she's not only just a clear inferior copy of Superman who just happens to be female - she doesn't even get the cover to herself - she also has problems with stuff like, you know, getting fat. 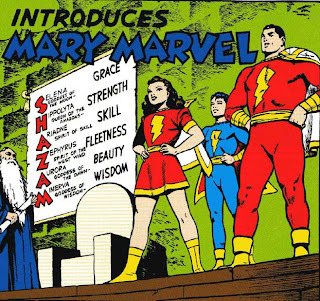 Even Mary Marvel, an excellent character from the Shazam family, isn't without her issues. My 5-year-old niece looked at this chart and laughed, and said to me, "Beauty's not a superpower!" And Stan Lee was especially notorious for treating women this way. 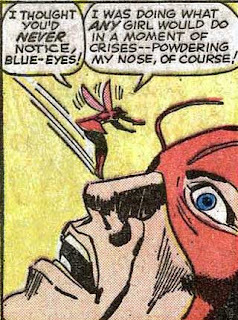 When the Avengers get into a big fight with the Hulk, where does the Wasp go? I know that times have changed, and that girls should, in theory, have more role models now (this is a post for another time). But these old, classic stories have a lot of entertainment value, especially for kids, but the sheer amount of sexism in them would require you to sit down with your children and guide them and make sure they're aware of it. There are comics that come out these days too, that would be good for your kids! More on this in a future post. OH MY GOD!!! BEAUTY IS NOT A SUPERPOWER? What's funny is that Mary Marvel's appearance is EXACTLY THE SAME as Mary Batson's, she just so happens to wear a Marvel costume. So even if "the beauty of Aurora" were a superpower, she ALREADY HAD IT before getting her powers. Being the father of a 4.5 year old boy, I am very aware that there is precious little out there for him to be reading over the next few years. Right now he and I are having a fun time reading Barks' books together, but what about when he's eight? And while it's a lot of fun to share my favorites with him, he ought to have stuff that is his own. When my wife was briefly into comics in the 1990s, she too ran into trouble finding things she enjoyed reading. Lots of independent titles, and lots of stuff from the 1950s. "Crimes by Women" was a favorite! I'm looking forward to reading your suggestions for good reads for kids. If you want to go really young, take a look at Jeff Smith's "Little Mouse Gets Ready" ... it's a great early-reader comic. I'm working on compiling a list for young readers of today. I know when my nephew was eight, he loved the big intercompany crossovers, but I think it had more to do with just seeing all those characters jam-packed than anything else. And Jeff Smith doing anything but RASL is perfect for all ages. As for girls, I think a problem is for young girls - there's certainly stuff out there for adult women (Strangers in Paradise comes to mind) - specifically because the problem is finding anything for young people these days. 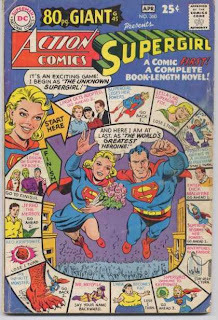 I know that Superman's Girlfriend, Lois Lane, was a huge title among the female demographic back in the 50s, but reprints of that title, I doubt, would go over well now (though I still do wonder if Lois Lane should have her own comic... as an investigative reporter, there's certainly lots of story material). Funny story about Little Mouse Gets Ready: I was looking through it in the bookstore, and I showed it to my nephew (who is 11), who claims he will read anything Jeff Smith does. Then he begs me to buy it. And I said "Really? You don't think you're too old for it?" And he said "I'm eternally young. I'm forever young. There's no such thing as ..." then he looked through some pages and said, "Sigh. I'm getting old."